Is there a connection between acne breakouts and food? A growing number of Dermatologists believe that some types of food may trigger or enhance the severity of acne. Research conducted primitive tribes in Southeast Asia showed that teenagers fed on a basic diet of meat and grain gathered in nature, almost never suffer from acne. It seems that cow milk, very salty foods, white flour, and sugar may increase the risk for Acne breakouts. A study of 47,000 women in the U.S. showed that women who drank more than two glasses of milk a week were 44 percent more risk of getting acne than women who drank one glass of milk or less. 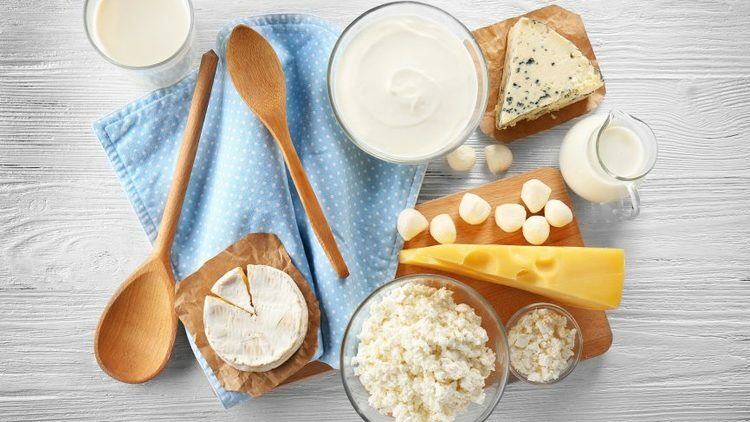 It was also found that women who reported eating more than her day of cottage cheese, cheese spreads over 30% fat, milk-based drinks teenagers – had more Acne than women who consumed less dairy. 1. Reduce intake of cow milk. Most of the cows that give us milk are pregnant during milking. The milk of these cows contains a large amount of progesterone-like hormones. These hormones have a Dihydroxy testosterone (DHT) activity that makes acne worse. 2. Reduce the intake of food that contains lots of sugar, cakes, sweets and ice cream. The worst are baked goods like cookies and white flour, white bread, and other sweets. 3. Reduce intake of sugary drinks, cola and fruit juices. You should switch to drinking water, herbal teas and drinks with artificial sweeteners. 4. Reduce intake of nuts. Nuts contain a large amount of fat in addition to a large amount of salt. Salmon, tuna, and sardines contain such important fatty acids Omega-3 may also benefit the skin and overall health. It’s also possible to take capsules containing these acids (fish oil).